Are you fascinated by the idea of a career in Investment Banking? Perhaps you know where you would like to be but want to find out how to get there? Come in and find out how Investment Banking works, get a first-hand understanding of the dynamics in mergers & acquisitions and capital markets. 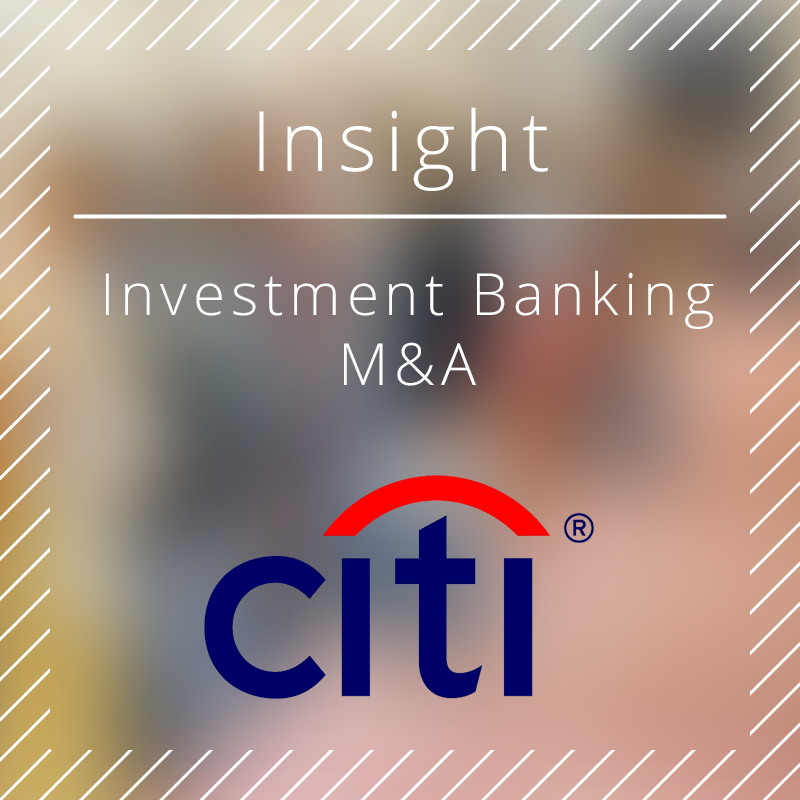 You will discover how to develop your career in Investment Banking at Citi and meet senior bankers. In this workshop Citi will present case studies of most recent and prominent deals as well as discuss a range of products and valuation techniques you will come across in Investment Banking. You will be also working on a case study in teams while being supported by Citi’s Investment Bankers. At the end of the workshop there will be a networking reception to get to know Citi better. Spaces are limited so sign up today! Please apply here latest 31 October 2018.